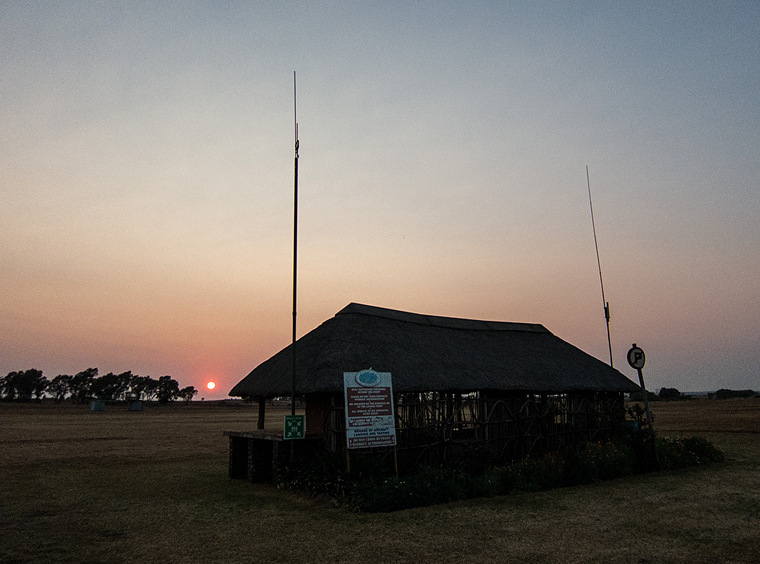 Magalies Gliding Club hosted a fly-in with complimentary breakfast and the option to camp or stay in their bunkhouse to enjoy the Saturday evening spit-braai. I was only able to be there during the day on Saturday. Saturday started clear and windless as the sun rose. As the first fly-in visitors started to arrive a very light North-Westerly came up and strengthened slightly during the day, not varying much in direction. A wide variety of aircraft flew in with some being “heritage”, although not South African Heritage, including a Yak 52, and biplanes - Waco and Stearman. There were microlights, sport, motor-gliders and of course, resident gliders. The “heritage” aircraft were a delight to see. A delicious complimentary breakfast was served in the clubhouse and the people moved in and out as they arrived, visited and departed. There are about 100 resident gliders at Orient, with many hangars and glider trailers parked on the site, mostly under the trees. 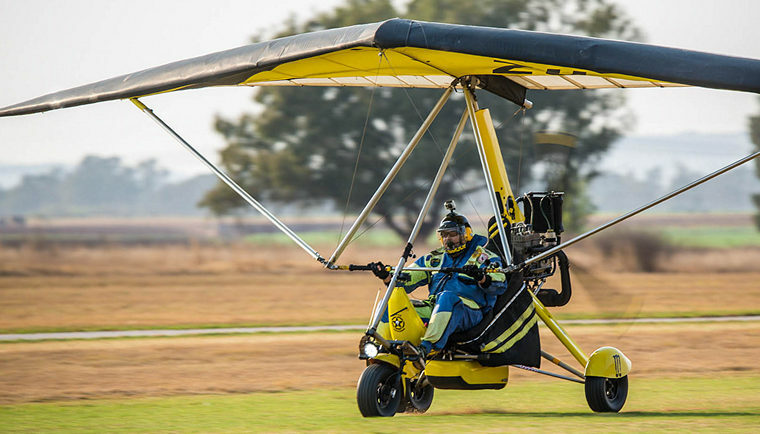 Many people have their own accommodation on site or even stay on the site - gliding is addictive apparently, and one should be ready to fly when the conditions are favourable! About 30 gliders are regularly active at the airfield. 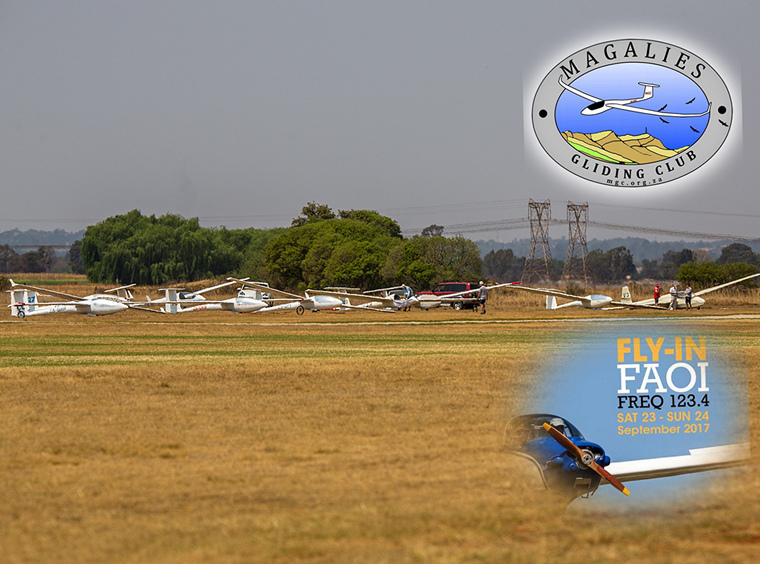 Magalies Gliding Club offers introductory glider flights and full glider training, with a course to run during the latter half of October 2017, pending enough interest. They need a minimum of 4 students, with a maximum of 8 per course. It was interesting to see a wide cross-section of glider pilots from the young ladies to the obviously retired gents, all really enthusiastic about their flying and ready to share their experiences and tips. After midday, when the thermals had properly “triggered” the glider tow launches commenced. Jonty Caplan was doing a sterling duty in the Magalies Gliding Club Cessna 182 tug, for a total of 18 launches for the day. Many days the launch total is over 30, so Saturday was a relatively quiet day for tow-launches. The launch turn-around was around 10 minutes per glider. The club also has a winch for winch launching, but the V8 motor is currently in for overhaul. Jonty Caplan in the 182 - thereby hangs a tail, or tow rope. Some of the glider pilots did a downwind flyby along the runway with a teardrop turn onto finals for runway 36, like this Ask 13. Motor-gliders were busy between tow-launches and late in the day there were time trials over a set circuit for the Fourniers and Falkes. The Stearman was active almost all day doing high-level aerobatics over the field and some flybys. In the late afternoon the Stearman and a Lotus sports car had a race along the runway, with the car having to stop and turnaround at the runway crossover point. The Stearman won, although it was not really an equal contest with the Stearman's 450 horses galloping full-tilt. Great fun at the end of the day that generated plenty of interest for those still on site. While others who had arrived and done some flying, returned to enjoy the evening activities. Many thanks to Jason Adriaan for his hospitality, friendliness and being the “go-to guy” amongst the others, who made everything happen on the day. This was a new experience for me, and well worth the visit to a different world of aviation.